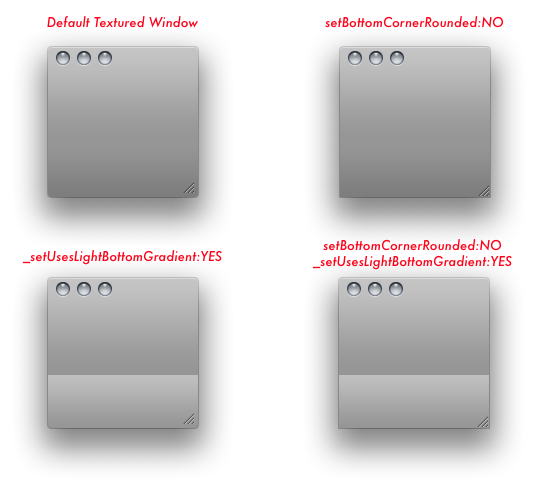 Some undocumented NSWindow methods to add sharp corners to textured windows, and an iPhoto/iTunes like bottom gradient bar. As this is undocumented, proceed with caution with respondsToSelector. Thanks! I used this in my app. Glad it's useful ! No link for your app yet ? ...to avoid the compiler-warning and get a nice build.